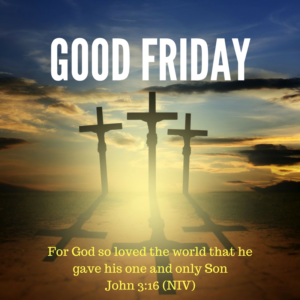 Good Friday is the first Friday before Easter which celebrates the commemoration of the crucifixion of Jesus Christ and is observed as a day of sorrow, penance, and fasting. Jesus’ death and resurrection occurs around the time of the Jewish Passover. Seven Last Words of Christ from various guest preachers. Liturgical Dance by Infinite Grace Dance Ministry.